Last Christmas, I was gifted with one of my darling boys (looking over my shoulder at the mo) gave me The Boy Who Bakes by Edd Kimber, winner of the first Great British Bake Off series on BBC2. It's only now that I have gotten around to making some of the recipes from the book and I'm wondering why I left it so long! 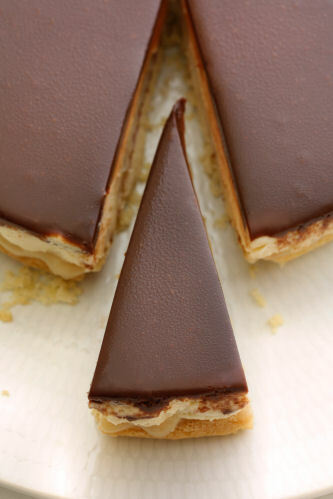 The book is full of fabulous bakes including a Gianduja Dacquoise Cake. 'Gianduja is a hazelnut and chocolate confection from Turin' says Edd, and the cake is his version of a layered ice cream cake with hazelnuts and chocolate. 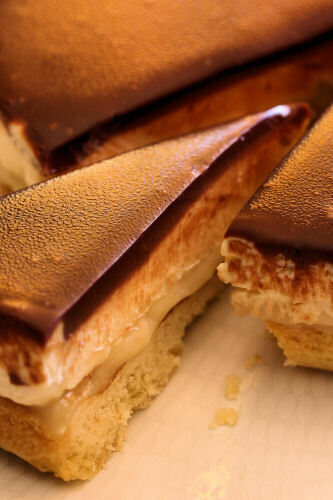 This is an easy show stopping dessert that you can make ahead of time, just put it in the freezer until you need it. 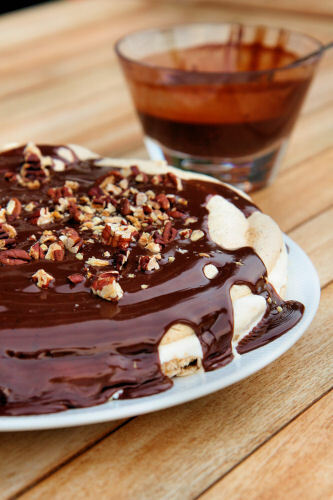 The chocolate sauce only takes 2 minutes to make and your guests will think you slaved away all day. Notes: I used pecans instead of hazelnuts and roasted them first for extra flavour. I also made this again with coffee ice cream and it was really good. Pre-heat the oven to 110º C. Line two baking trays with baking parchment and draw a circle on the pieces of parchment, use a 23cm round plate or tin as a template. Turn the paper over so the circle marks are underneath. Roast the pecans under the grill, keeping an eye on them as they will burn easily, finely chop them when they have cooled down. Gently fold in 100g of the chopped pecans. Put a large plain nozzle into a piping bag and fill the bag with the meringue mixture. Starting in the middle, pipe a spiral onto each parchment tray, finishing just inside the circle. Bake for 2 hours or until pale and crisp, then remove from the oven and leave to cool on wire racks. To assemble the cake, place one of the meringues into a cake tin and spread the softened ice cream on top, right to the edges. 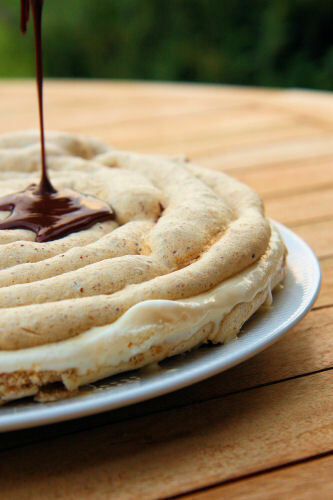 Place the other meringue on top and press down gently. Cover and freeze for about 2 hours, until the ice cream has firmed up. 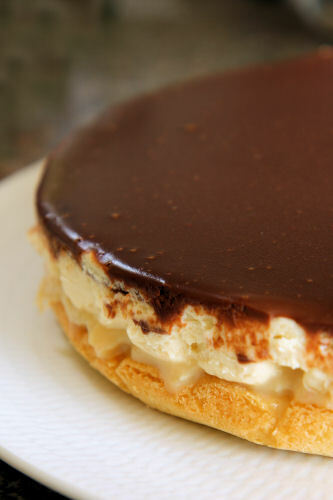 When ready to serve, remove the cake from the freezer and leave while you make the chocolate sauce. Put the chocolate and cream into a small microwavable bowl and heat for 30 seconds. Stir the cream into the chocolate until smooth - you may need to microwave for another 15-30 seconds. Alternatively, you can do this in a small pan on the hob. 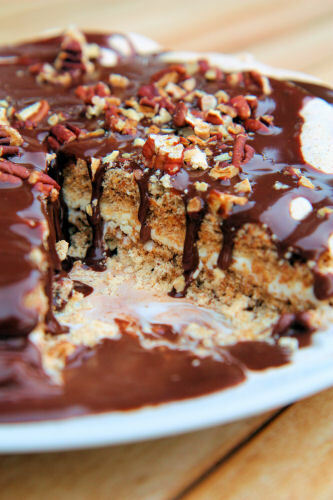 Put the cake onto a serving plate and pour the sauce over, spreading it so it drips down the sides of the cake. 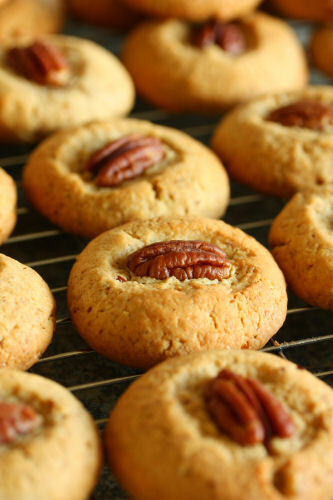 Sprinkle with the remaining chopped pecans and serve immediately. Guess what?? 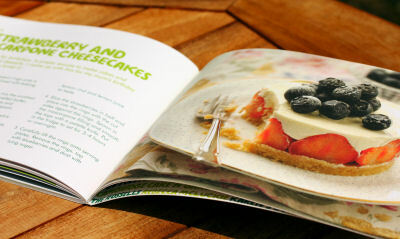 I have a recipe published in a very special book! 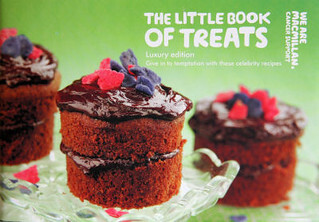 'The Little Book of Treats', which is being sold in all M&S Cafés from NOW until the 3rd October, is a luxury edition of fabulous sweet recipes being sold in aid of Macmillan Cancer Support. It's only £4.00 and 100% of the proceeds go to charity. 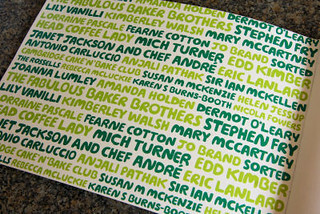 M&S cafés are the official partner of Macmillan's World's Biggest Coffee Morning, and YOU can participate by popping along to you nearest M&S café on Friday 28th September. 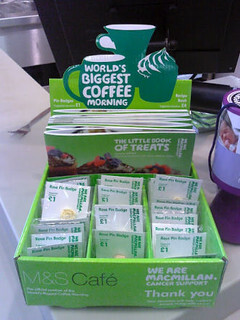 50p will be donated from your coffee sale price to Macmillan Cancer Support, and they will also be making a contribution from the sale price of a range of treats, right up to Wednesday 3rd October. And, of course, you can buy the book! In the book you will find recipes from Stephen Fry, Amanda Holden, Fearne Cotton, Eric Lanlard, Kimberley Walsh, Janet Jackson, Sir Ian McKellen and.... ME!! There are loads of other contributors and the recipes include raspberry shortcake hearts, party time chocolate fridge cake, gingerbread cinnamon cupcakes, coconut semifreddo, crunchy topped banana cake and honeycomb & milk chocolate biscotti. There are a few other bloggers who have great recipes in the book, pictured on the front cover is a recipe from a long time friend Karen, who writes Lavender and Lovage. I have made several of the recipes already. 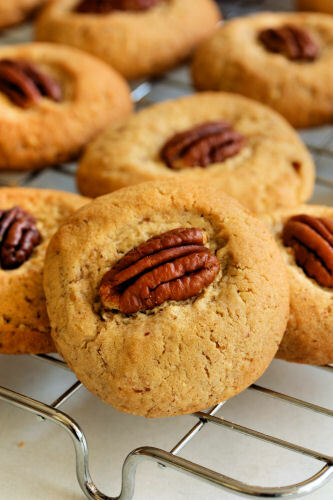 These pecan muscovado cookies are from Joanna Lumley and they're absolutely gorgeous: soft, crumbly and full of pecan deliciousness - perfect with a cuppa!